A family can dig an acre of land by hand, but with oxen and a plough they can cultivate four acres or more. 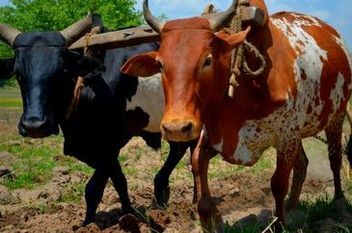 Our enterprise loans help groups of family farmers to buy and share a pair of oxen and a plough to open up more land. The extra food grown will feed the family and the surplus food is sold to increase family income and repay the loan. This money is then reinvested to help more neighbouring farming families to grow more and plough their way out of poverty. Farmers in Uganda lose about a third of all food they produce due to poor storage and post-harvest handling techniques. That’s why we have developed community food hubs to train farmers on post-harvest handling and to create a community food store for the most vulnerable in the community. We provide local NGOs with an enterprise loan to run these community food hubs. The enterprise loans are recouped and recycled back into the scheme year-on-year. 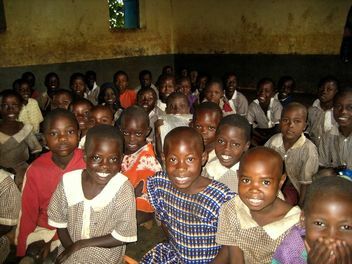 We have a proud history of supporting Uganda's disabled children to access education and healthcare. When children are disabled - whether mental or physical - they are too often seen as a burden and socially excluded. As a result they become rejected, neglected and live life as an outsider in their own community. That's why we support local schools and hospitals to give disabled children the health care and education they need to lead a better life. We also have a project to train nurses. We finance these projects through a social dividend on our enterprise projects and donations from private donors. We are growing more and wasting less with these enterprising projects. We work closely with community based organisations in Uganda to empower families to work their way out of poverty. With our revolving loans we can ensure your donations are working hard. We are working with local schools and hospitals to provide opportunities for better education and health care. With sustainable projects such as training nurses we can ensure we are changing futures.